From sky blue to ultramarine to cobalt, blue appears in the heavens, in the seas, and everywhere in between. Get to know the many meanings of this omnipresent hue, and discover how blue can bring you power. The color blue has long been known for its tendency toward idealism and its ability to inspire the wearer to achieve higher principles. When you wear this tone, you’ll also enhance your capacity for expressing yourself and communicating your needs and desires. If you struggle to communicate effectively, can’t express yourself, or neglect to make yourself available when others need you, wearing blue may help you unlock this important skill. Light blue crystals, like aquamarines, can help you make strides toward increased understanding and improved interactions. As it guides you toward higher ideals, blue also helps you explore greater honesty. You can rely on this color as a compass guiding you in the direction of truth. Whether you want to emphasize your own honesty or seek out the truth in others, blue is the right choice. An authentic psychic can help you select and wear the right blue gemstone to help you find the truth you’re seeking. When you need calm, blue is the ideal tone. This relaxing color can lower stress levels, encourage peaceful contemplation, and help negativity melt away. Wear blue to find peace, achieve relaxation, and seek out the calm you need to keep stability in your life. 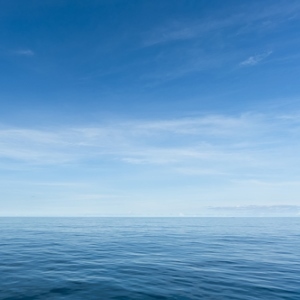 As the color of both the sky and the sea, it should come as no surprise that blue represents stability. After all, this hue reveals the order of the universe, and it appears almost everywhere. If you’ve grown accustomed to experiencing a large amount of chaos in your personal relationships or your daily life, wearing blue crystals may help reintroduce a sense of order back into your life. Keep in mind, however, that blue maintains its roots firmly in the past. Some might call it nostalgic, but no matter how you view this color, it encourages you to consider the past when making decisions about the present or the future. If you value your past experiences and how they’ve helped shape you, you’ll appreciate this color’s strong sensations. Though blue has primarily positive connotations, the color can also have some downsides. While you can depend on this hue to provide a safe haven as it leads you toward truth and honesty, blue can also be remarkably rigid. If you pursue the powers of this color, take care not to let darker blue tones repress your feelings, guide you toward predictable conclusions, or create rigid guidelines that define your thoughts or actions. Don’t hesitate to phone a psychic for advice on looking beyond this color’s straightforward parameters. Blue can lend you tremendous power, but it’s your responsibility to use it wisely. Try wearing blue stones such as sapphires, aquamarines, turquoise, or even lapis lazuli in order to stay calm and keep communication flowing.